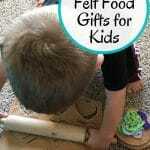 10+ DIY felt food gifts for kids made from soft and durable felt for a fun do it yourself gift that is safe and fun for any age group. If you want to raise world food explorers the best way to start is to get them interested young. 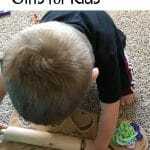 Having play food that they can experiment with helps to engage their curiosity and shows them that food is fun! 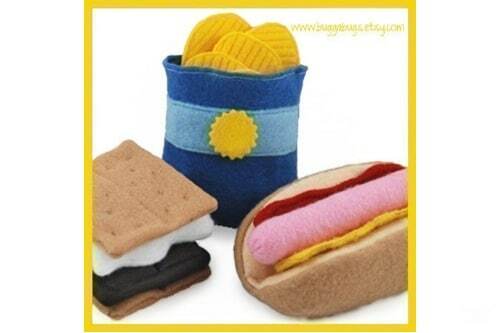 That’s why I made a felt breakfast food set and a DIY cookie sheet for my kids to play with their other store bought play food sets. It’s a great way to round out what play food they have. 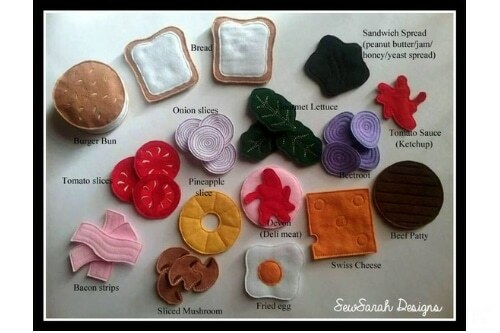 Why make play food out of felt? 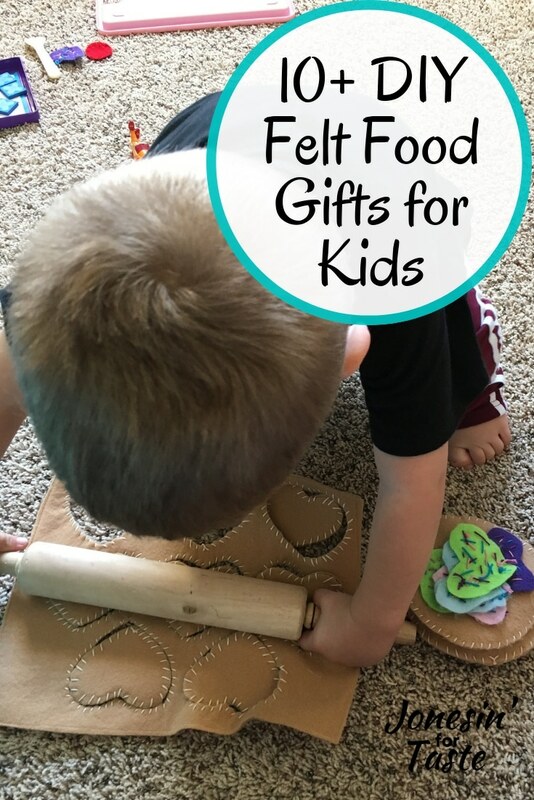 Felt is inexpensive, surprisingly durable, totally safe for kids, and won’t damage any of your play areas like wooden play food can. If you end up with an angry chef you won’t worry about flying food either! 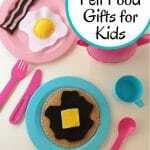 These patterns will have you whipping up play food in no time. 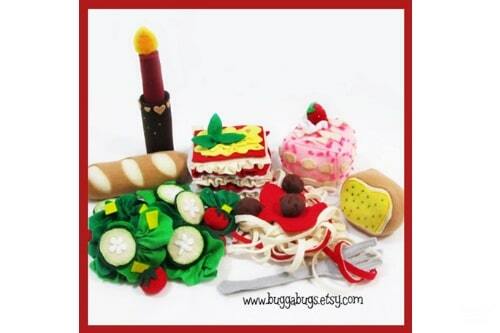 There are so many options in this set that allows the kids to build a sandwich or burger the way they would want. Have the kids set up a fort or a play tent and invite their stuffed animal friends over for a good old fashioned camp fire dinner. 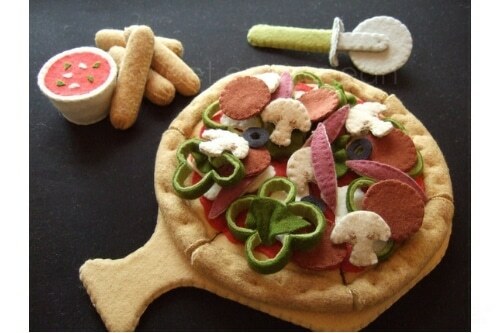 Let the kids experiment with adding veggies to their pizzas and then have them help you make their own little pizzas. Keep it really simple by making Simple Sourdough Pizzas. 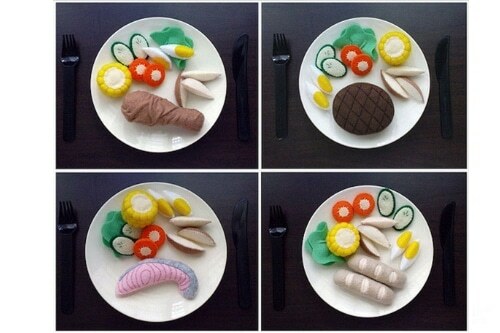 I love that this little set allows the kids 4 different meat options so everyone can get something different. 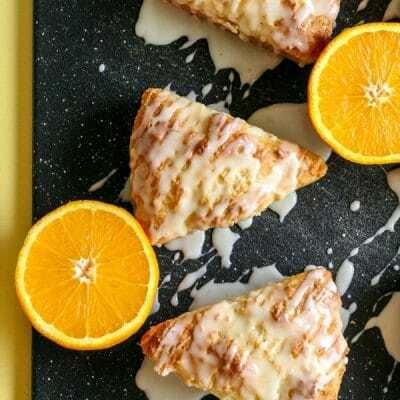 This pattern is impressive because it includes everything from appetizer and bread to dessert. It even has a felt candle, how cute can you get? 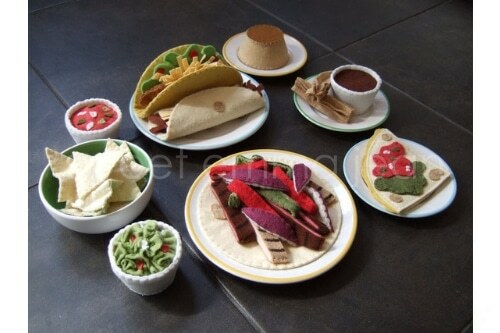 Another cute themed set with chips and salsa, several main dishes, and two different desserts- churros and flan. 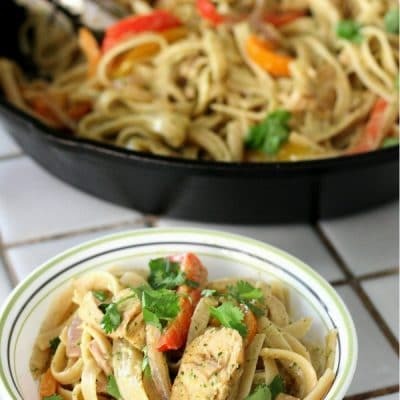 This would be fun to use while you are making some new Latin American dishes for them to explore. 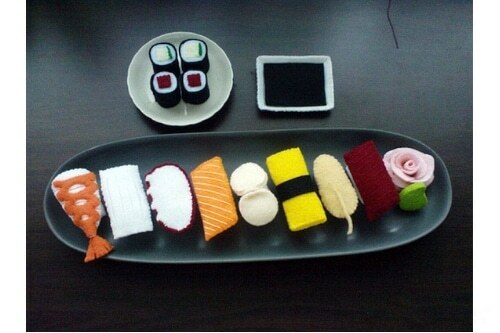 Sushi might seem like something kids wouldn’t be interested in but this little set is sure to get them curious. Give them this set and the card game Sushi Go and they might just be more excited for sushi night! 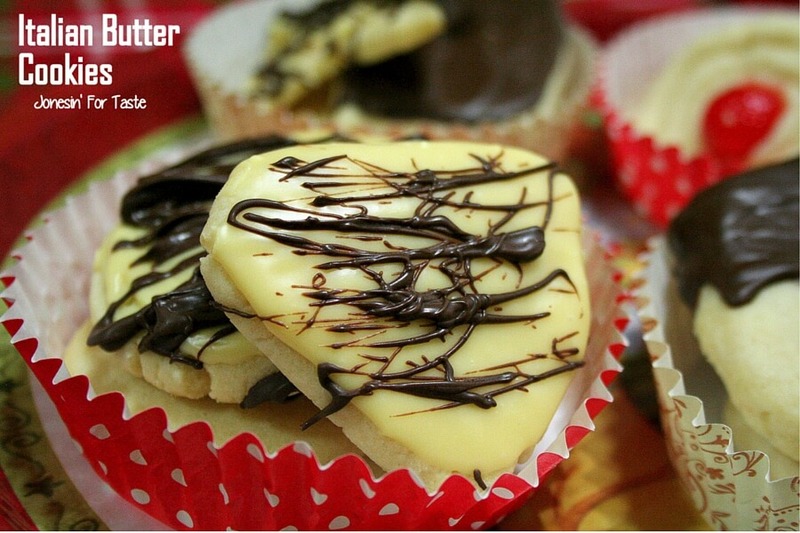 Do you have a budding baker on your hands? This is a great little set to get their creative juices flowing. 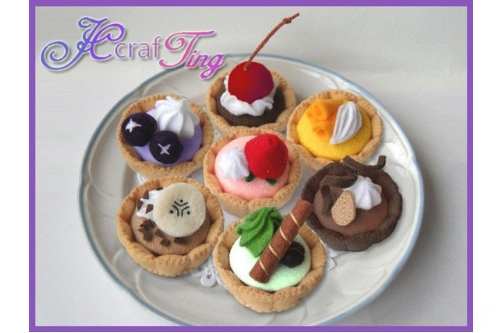 These fruit tarts are so adorable and the kids will love whipping them up with their little baker set! 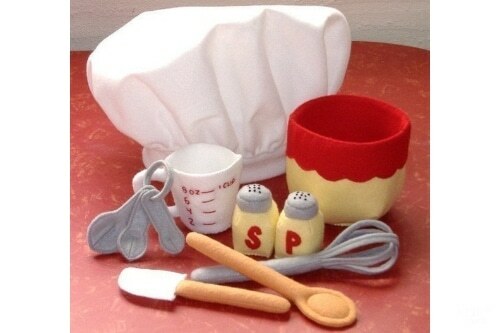 If cakes are more their interest this little set allows them to design a cake how they want! 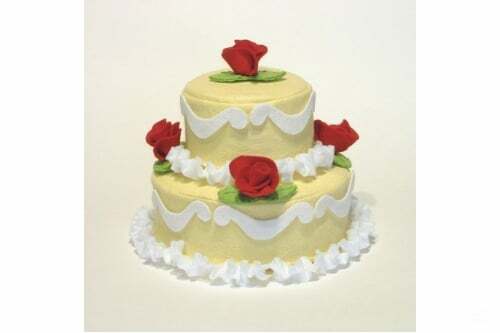 Make it 1 or 2 tiers and decorate with icing or flowers or both. 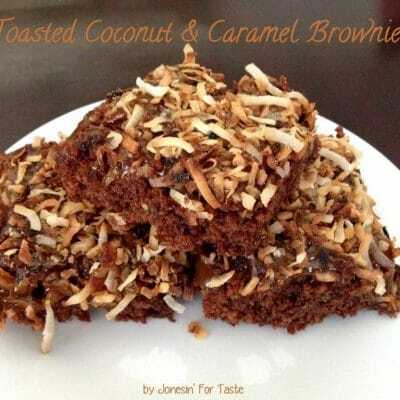 There’s even a little piping bag they can use.